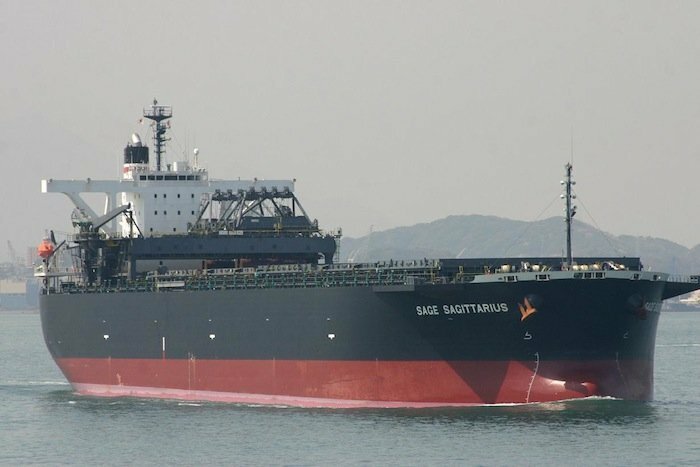 The International Transport Workers’ Federation (ITF) has urged the Australian coroner investigating the series of deaths onboard the Japanese bulker Sage Sagittarius to charge the master of the ship. In 2012, the ship’s chief cook and chief engineer died in questionable circumstances off the Australian coast. A superintendent sent by the shipowners to investigate, also died later on in Japanese waters. Since then the Sage Sagittarius has been dubbed the death ship by local media. The ship’s master, Venancio Salas, should be charged with perverting the course of justice, Dean Summers, the ITF’s national coordinator said at the long running inquiry. “The ITF will submit Captain Salas committed an indictable offence in perverting the course of justice, and will call for the coroner to recommend he be charged,” Summers said. “This kind of brutality could only be perpetrated on deregulated FOC ships,” he said. During the lengthy inquiry, the coroner has heard allegations of Salas being involved in gun running as well as assaulting his crew. He no longer works for the Japanese owners. “There’s a high cost involved in cheap shipping – intimidation, bullying – and in this case, people have paid with their lives,” Summers said. The inquiry is set to end soon.